Parking for Winter Solstice is very limited and English Heritage cannot guarantee that you will be able to park near to Stonehenge. If you are planning to travel by car, wherever you park there may be a 30 minute walk to the Monument. We strongly recommend car sharing or using public transport. Organised Tours – If you are considering visiting Stonehenge for the Winter Solstice celebrations you can even join an organised tour. Use a reputable tour operator who respect the conditions. 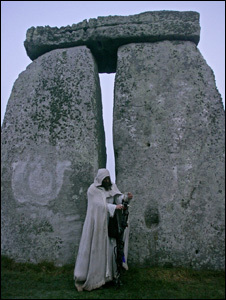 Stonehenge Guided Tours are the longest established company and offer guided tours and transport from London and Solstice Events offer small group Winter Solstice tours from Bath using local expert guides. Follow @St0nehenge @EH_Stonehenge @VisitStonehenge @HighwaysEngland @VisitWiltshire and @Wiltshirepolice for #WinterSolstice2017 updates on the day.